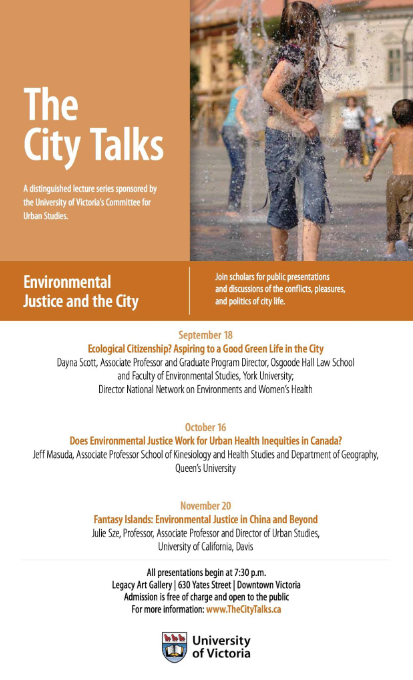 October 16: Does Environmental Justice Work for Urban Health Inequities in Canada? January 22: Can One Small Street in Vienna Change the Memory of the Holocaust? 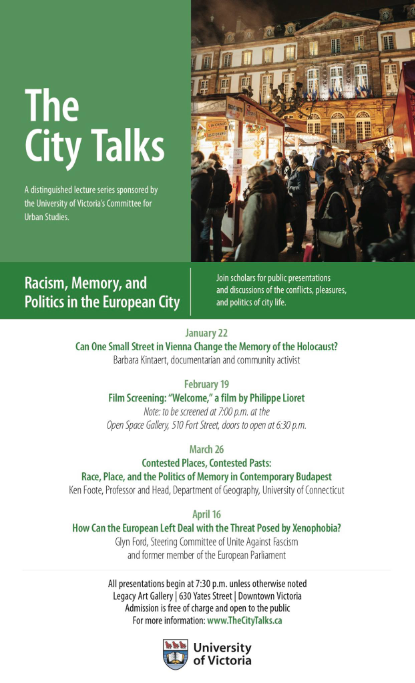 April 16: How Can the European Left Deal with the Threat Posed by Xenophobia?